How Much Does a Pony Cost? A pony is simply put a small horse with a maximum height of four feet and ten inches. 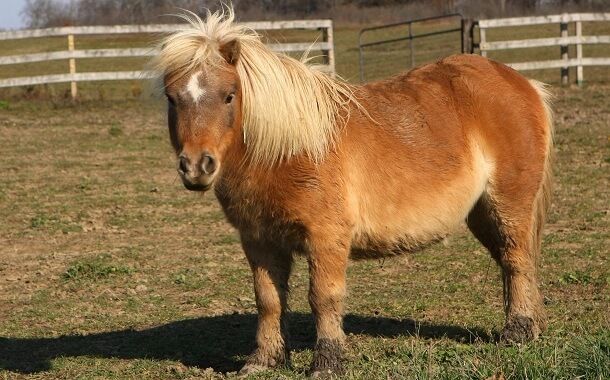 While ponies are recognized as sturdy workhorses with muscular legs in Europe, in America, they are considered as a whimsical pet for children. Different ponies have different body types and temperaments. The cost of buying a pony varies widely, starting from just a few hundred dollars and going all the way up to tens of thousands of dollars. The difference in cost comes from the breed and age of the pony, as young ponies cost more and old ones cost less, and the training, where well-trained ponies cost more than the untrained ones. If you purchase a pony that costs more than $1,500, it means you are spending on an animal that has had money and time put into it, which makes it a nice horse to own. You will notice that such a pony is easy to clip, load on a trailer, bathe, and stand for the veterinarian and farrier and possesses all the good manners that make it fun and easy to handle. On the other hand, ponies costing between $500 and $1,000 are often youngsters that have very little training or handling. They may lack in soundness and conformation and have behavioral issues. These animals are intelligent creatures, and their temperaments differ from breed to breed. For example, Shetlands are usually seen as headstrong and stubborn, whereas Connemaras are considered to be more willing and gentle. Therefore, the cost of purchasing a Shetland is between $300 and $1,500, while the cost of Connemaras starts from $3,000 and can go up to $28,000. Ponies usually require a space of about three acres to exercise. Hence, their lodging facilities can cost around $200 every month. This amount also includes the cost of cleaning the stable as well as brushing and feeding the pony. They are mostly fed hay that can be bought for roughly $1,200 per year. You can supplement the hay with grain, which will add around $140 to the cost per year, or minerals that cost about $20 a year. Regular checkups for ponies can cost $250, while miscellaneous veterinary care includes worming at $48 once a year and hoof care ranging from $35 to $50 every month. Another additional cost is the cost of training, which can be somewhere between $1,000 and $2,000 in one year, with one lesson costing $40. Other accessories for your pony such as a rider’s helmet, shampoo, brush, buckets and general first aid supplies can cost a few hundreds as well. When you are calculating how much money you need to get yourself a pony, make sure you also include the costs of sales taxes, pre-purchase veterinary exam, and transportation. While these are not part of the asking price, these factors need to be considered before you come to a final decision. Ask yourself if you have enough money to cover the expenses of the pony and whether or not you will be able to look after it and readily pay when any veterinary emergencies arise. The initial cost of purchasing a pony might look like a huge expense, but in reality, the day-to-day care is a greater expense. The upkeep of a pony is a bit expensive, which is why some owners want to get themselves rid of the pony very quickly. This factor can knock down the price of purchasing a pony to only a couple of hundred dollars. However, do not rush into buying before thorough inspection. Due diligence is essential to find the appropriate pony. Before you buy, research the pony’s ownership and veterinary history. Moreover, poor quality hay crops along with the increase in fuel costs can have an impact on the number of horses for sale, and it can also lower their price. The ban on slaughtering of horses can also decrease the cost of purchasing a pony. Should the average working Joe get a pony? Before getting a pony, be sure you read this article a couple of times and understand that the costs of taking care of such a pet can add up pretty fast. Be sure you have or can buy anything you need for the pony to have a nice life and most importantly, don’t buy it as an impulse just because your daughter asks you to. https://www.thepricer.org/wp-content/uploads/2016/11/pony-cost.jpg 380 610 qSign http://www.thepricer.org/wp-content/uploads/2016/11/pricerlogonew.png qSign2016-11-24 16:49:172016-11-24 01:34:13How Much Does a Pony Cost? How Much Does The Superbook Cost? How Much Does a Tetanus and Diphtheria Vaccine Cost?